I have neglected many interesting geomorphic processes in frozen ground because they have little role to play in the climate system. This includes intriguing features like pingos, ice wedges, solifluction lobes, and patterned ground. Interested readers can find a wealth of information in the texts of Williams and Smith (1989) and French and Williams (2007). French, H.M., and P.J. Williams (2007). The Periglacial Environment, 3rd ed. Wiley, Chichester, UK. Williams, P.J., and M.W. Smith (1989). 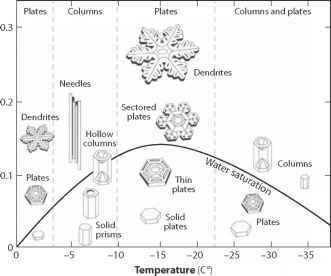 The Frozen Earth: Fundamentals of Geocryology. Cambridge University Press, Cambridge, UK.